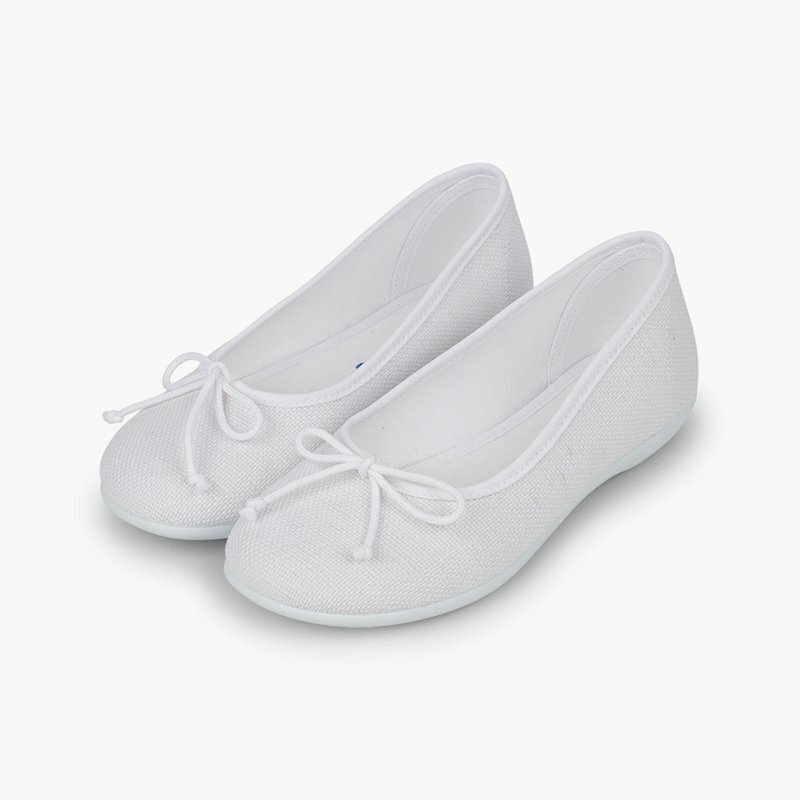 Are you looking for girls' shoes for a ceremony? 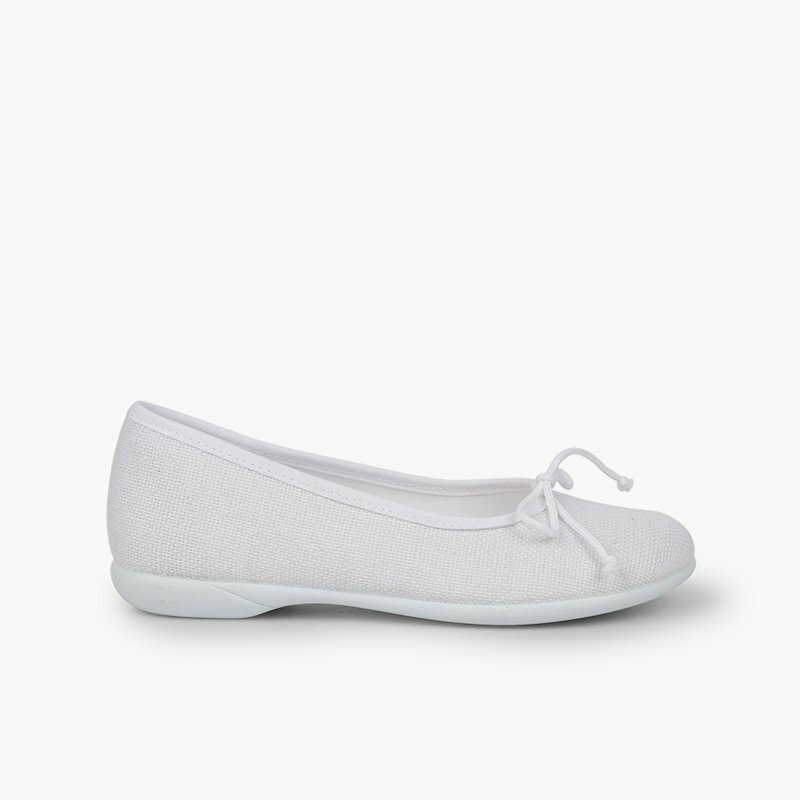 We have the simplest, most elegant communion ballet flats of the season! 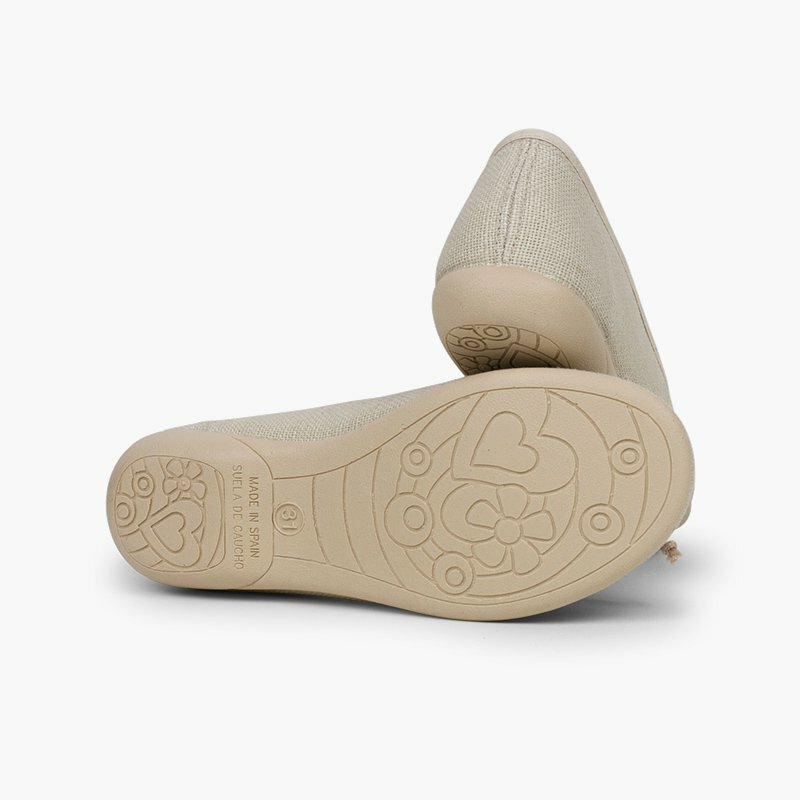 Ideal for those who prefer their ballet flats to be discreet so that their dress takes the spotlight, but who still want to wear comfortable, beautiful and super cool children's shoes! Made of linen with a beautiful bow embellishment, these ballet flats are perfect to wear for communion as well as for the rest of the season, thanks to their subtle, classic and timeless design. Ideal for both smart looks and casual outfits. 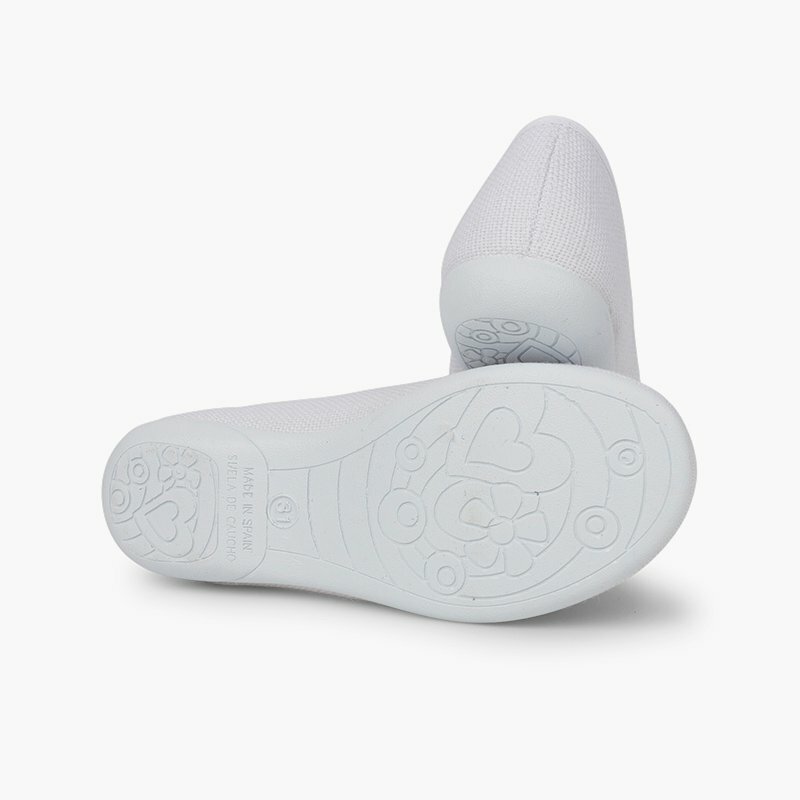 Available in two shades: white and beige. Choose the colour that best matches your daughter's outfit. And yours too! Available in sizes 28 to 39; suitable for both mothers and daughters! 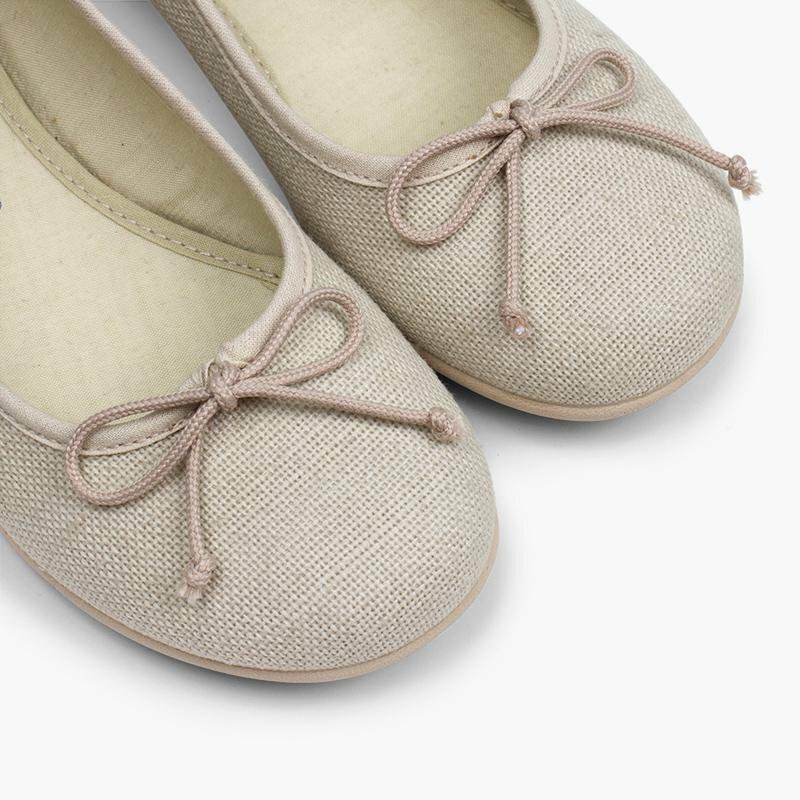 Additionally, these girls' ballet flats are very easy to clean; simply rub the stain gently with a damp cloth or brush, leave them to dry in the shade and you're ready to go! 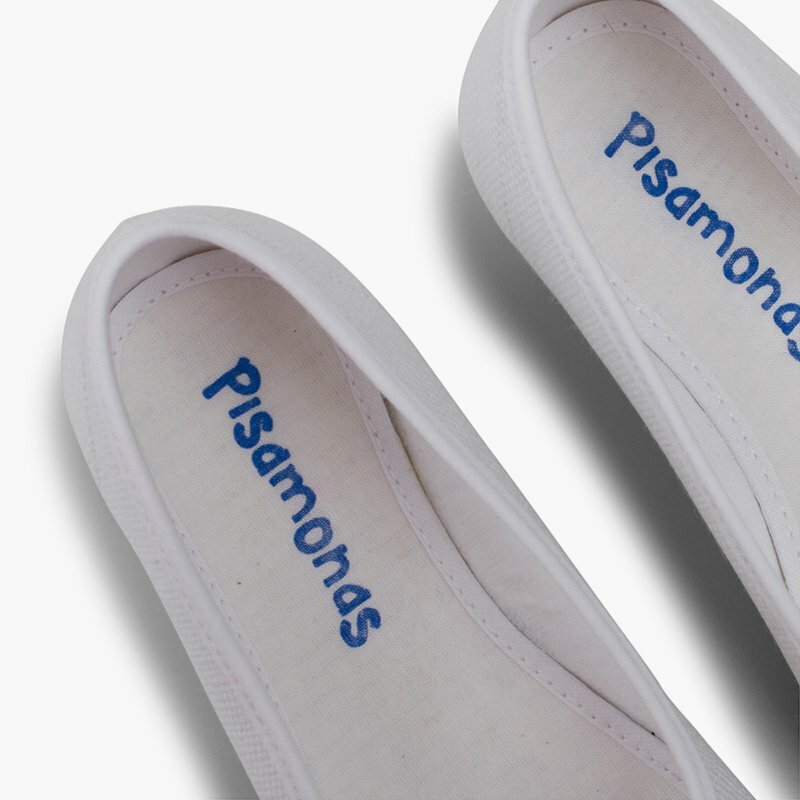 As always at Pisamonas, we have the best children's ceremony shoes at the best price! 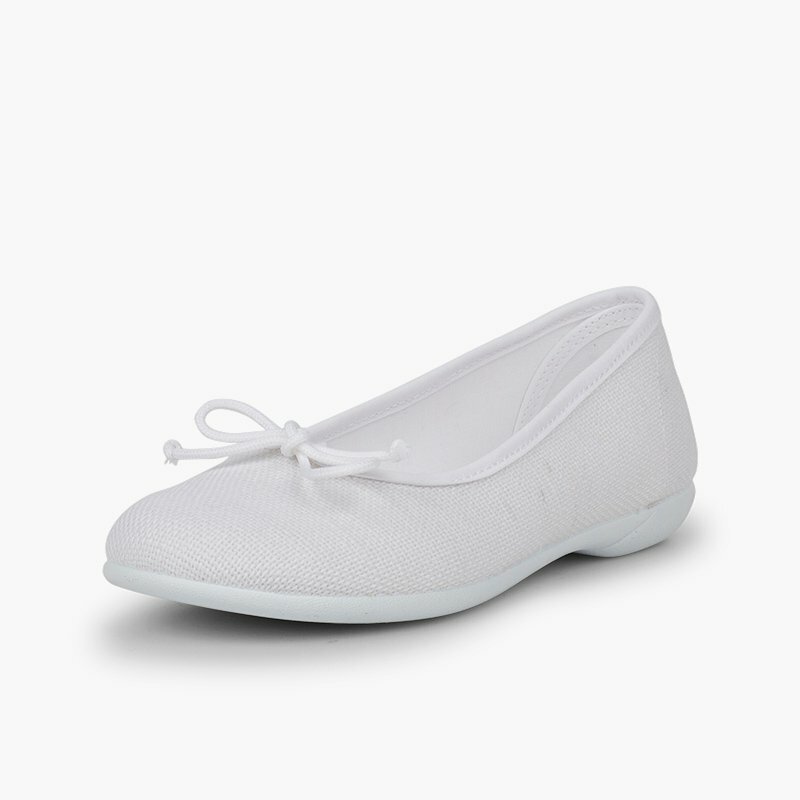 The quintessential spring-summer material for the coolest ballet pumps! 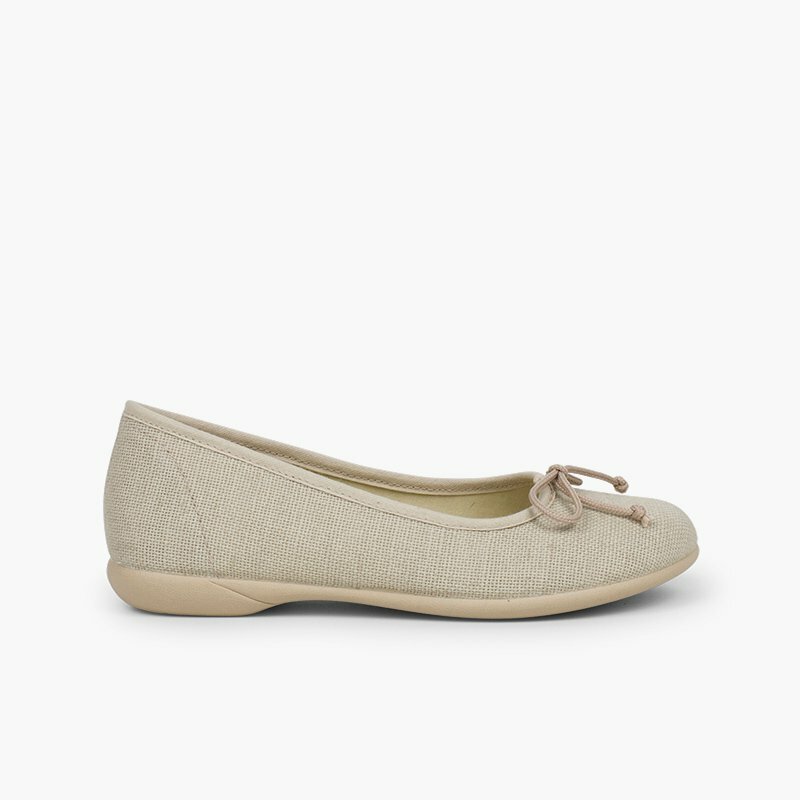 Thanks to their rubber sole and lightweight composition, these ballet flats are so comfortable you won't even notice you're wearing them!